Across the world, rising prevalence of cardiovascular diseases coupled with rising adoption of preventive medicine are fuelling the cardiac ultrasound systems market. Technological advancements in ultrasound imaging is another key factor boosting the cardiac ultrasound systems market. Such advancements help improve image quality and enable diagnosis of disease at an early stage. Cardiovascular ultrasound is used to detect abnormalities in functioning of the heart. 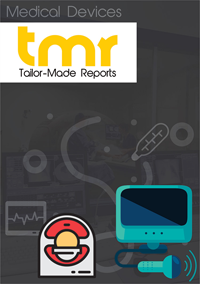 The report provides a brilliant assessment of the global cardiac ultrasound systems market with a strong focus on market dynamics, geographical distribution, and competitive analysis. The report uses an array of graphs, tables, and pictorial representations to depict growth trends observed in the past. Growth rate projections and revenue share projections of key segments are some key features of the report that markets stakeholders can leverage to formulate winning growth strategies. At present, healthcare agencies and governments in emerging economies are raising awareness for preventive medicine. Rising incidence of chronic diseases is leading to immense economic burden. State-driven healthcare in emerging economies lacks funds and experts to extend healthcare services to the large underserved population. NGOs and non-profit organizations with the support of the government are reaching out to the population that have a risk of cardiovascular diseases. This is stoking demand for cardiac ultrasound devices. In developed countries, favorable healthcare reimbursement policies, wherein set programs are in place, is another key factor boosting the cardiac ultrasound system market. For example, in the U.S., the Hospital Outpatient Prospective Payment Services (HOPPS) pay technique is used to decide the amount of reimbursement that will be granted on a case by case for cardiac ultrasounds. The Centers for Medicare Aid and Services (CMS) designed HOPPS for various outpatient procedures. Like every year, the Radiological Society of North America (RSNA) meeting this year unveiled latest advancements in cardiovascular imaging. Among many, the fetalHQ heart and vascular software from GE Healthcare to detect fetal ultrasound is a breakthrough. The software helps to evaluate fetal heart shape, size, and contractibility in a meagre 3 minutes. The software serves to carry out detailed fetal cardiac assessments that were earlier difficult to perform due to small size and extremely fast heart rate of the fetus. Apart from this, the Radiant Flow feature of the software enables 3-D view of blood flow. The software also allows to show slow flow of blood, such as in neurovascular circulation. The global cardiac ultrasound systems market could be spread across five geographic regions, namely North America, Asia Pacific, Europe, Latin America, and the Middle East and Africa. Among them, North America holds key share in the global cardiac ultrasound market. This is mainly due to substantial awareness for benefits of preventive medicine and an ultra-modern healthcare infrastructure. However, Asia Pacific is likely to hold key share of the overall market in the future. Increasing modernization of healthcare infrastructure and rising incidence of lifestyle diseases such as cardiovascular is boosting the uptake of cardiac ultrasound devices. Some key players operating in the global cardiac ultrasound systems market are Philips, Hitachi, Siemens Healthcare, GE Healthcare Inc., Fujifilm Medical Systems, and Canon Medical Systems Corporation. Expansion of product portfolio and foray into regional markets are key growth strategies adopted by leading companies in the cardiac ultrasound market. The July 2017 partnership of GE Healthcare and Heartflow for technological advancements of cardiac equipment is a case in point.